Steven Hawking has warned that the race toward developing artificial intelligence could backfire on us. Speaking on HBO's Last Week Tonight, Hawking warned that “artificial intelligence could be a real danger in the not too distant future”. He said that the danger wasn't in the company that developed it, but rather the system itself further down the line. As you'd expect from comedian host John Oliver, he threw in a joke question. “Why should I not be excited about fighting a robot”, he asked Hawking. Perhaps Oliver's biggest joke was questioning whether or not it was Hawking or his computer (pretending to be Hawking) talking to him. 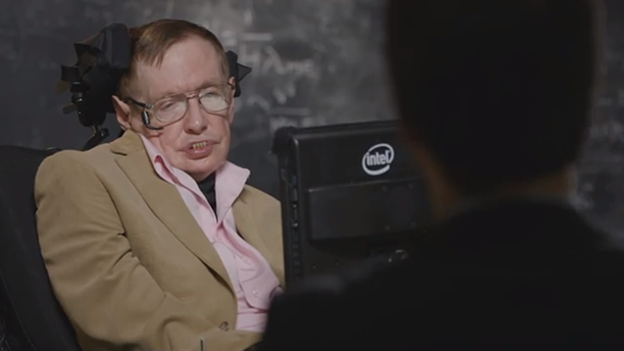 “You're an idiot”, was the response from Hawking. That – we'll point out – wasn't a denial.